OTTAWA — The Harper government has spent more than $23 million over the last two years on media monitoring — including more than $2.4 million tracking some of its own backbench MPs in television interviews, radio and print, according to documents tabled in the House of Commons earlier this week. The names of 65 Conservative backbench MPs — or just about 64 per cent of all Tory MPs who have no ministerial or any parliamentary secretary duties — are included in a list of search terms the federal government paid third-party contractors to monitor in news media from April, 2011 to December, 2012, although some of the terms were also monitored in early 2013. MPs and staff in every office The Huffington Post Canada contacted Wednesday were bewildered to learn who was named on a list of politicians the Privy Council Office (PCO) tracks. (The PCO is the prime minister’s department). “I honestly don’t know anything about this at all,” said Ontario Conservative MP Patrick Brown, whose name was on the list. Brown said he had no idea why the government would be monitoring him. “Governments have done media monitoring for years to track what issues are relevant but I am not sure why I would be followed or tracked,” he told HuffPost. “You know I have worked here for 29 years and this is the first time I’ve ever heard of this,” said Mary Ann Tink, parliamentary assistant to Ontario Conservative MP Daryl Kramp. “How? … Is it because of the Indian Act possibly?” asked Saskatchewan MP Rob Clarke. Clarke tabled a controversial private member’s bill calling on the federal government to work with First Nations to replace what he views as an outdated Indian Act. “That is what I would guess is their rationale,” he said of the monitoring. Conservative MP Stephen Woodworth said he was unaware of the reasons why the government would monitor him but added that he wasn’t concerned. Woodworth garnered national headlines last year when he introduced a motion to establish a House of Commons committee to study the question of when life begins — a move many saw as the first step toward restrictive abortion laws. Several Tory backbenchers who spoke out last month against their government’s decision to ban British Columbia MP Mark Warawa from speaking freely in the House of Commons — MPs such as Kyle Seeback, Michael Chong, Leon Benoit, Brent Rathgeber and John Williamson — do not figure on the PCO’s 2011-2012 list of people targeted for monitoring. Conservative MP Brian Jean, who is on the list, said he’s not sure why he was flagged, but also said he isn’t troubled by it. “They must be interested in what their colleagues are doing, right? I mean the government must be. It seems to make sense from a party position that you would be interested in what your members are saying,” he said. Liberal MP John McCallum, who requested the media monitoring contracts and the search terms from the Conservative government, said taxpayers shouldn’t have to pay for the Conservatives to babysit their own MPs. “Is this Big Brother looking over them?” McCallum asked. PCO spokesman Raymond Rivet insisted the federal government was not monitoring MPs. “We are not monitoring MPs per se, we are just trying to make sure that they (the media monitoring services) capture (everything) if there is something that is of interest to us,” Rivet told HuffPost. The PCO uses a wide range of key words, including MPs’ and ministers’ names as well as specific subjects and government programs to help suppliers identify relevant reporting on talk radio and news programs, he said. All Conservative MPs were meant to be included, Rivet added. “Things may have been missed. It was our intention to include everyone,” he said. (Most opposition MPs are not being tracked according to the documents tabled Monday). McCallum doesn’t buy the department’s answers. “Finding out what the MPs are saying in their local papers (and) presumably finding out whether the MPs are saying things they should not be saying — that means monitoring to me, whether you like that word or not,” he said. The Prime Minister’s Office came down harshly on Conservative David Wilks last year after the B.C. MP was caught telling his local paper he was prepared to vote against his government’s budget as long as some of his other colleagues stood beside him. Wilks wasn’t on the PCO’s monitoring list, but Rivet suggested the PMO might have their own list. “I know there is other monitoring that goes on out there that might focus more on the political but that is not our focus,” Rivet said. Many of the individuals tracked were ministers and parliamentary secretaries as well as opposition critics. Justin Trudeau, who was not Liberal leader at the time of the request, was not only being monitored by Human Resources and Skills Development Canada for his critic role, but also by the Privy Council Office. NDP leader Thomas Mulcair and then-Liberal leader Bob Rae were also on the list. Last November, The Canadian Press revealed that the department of Citizenship and Immigration spent almost $750,000 monitoring ethnic media over the past three years, including assessments of election campaign events and "perceptions" of minister Jason Kenney. The documents tabled this week reveal some interesting search terms requested by departments. 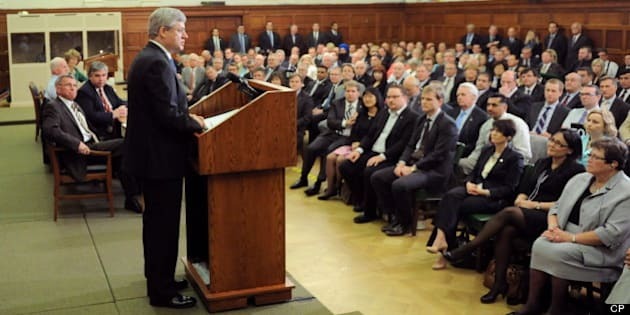 The Department of Foreign Affairs and International Trade was not only monitoring media stories involving their ministers “John Baird” and “Ed Fast,” but it was also keeping an eye on all stories involving “Maher Arar,” six years after a commission of inquiry cleared him of wrongdoing and found the RCMP passed misleading information to U.S. authorities labelling him a terrorist. In 2002, the Americans sent Arar, who was transiting through the States after a holiday in Tunisia, to his birth country of Syria, where he reported being tortured. An Ontario judge who led the commission recommended Arar be awarded $12.5 million in compensation. DFAIT was also keeping track of stories dealing with “Omar Khadr” and retired Supreme Court judge Frank “Iacobucci,” who served as commissioner of an internal inquiry into the alleged torture of three Arab-Canadians. They did not monitor any stories involving Deepak Obhrai, Baird’s parliamentary secretary. CORRECTION: An earlier version of this story erroneously suggested the federal government was monitoring spiritual author Deepak Chopra. The reference has been removed.